When people learn I’m from Peru, their eyes light up. They seem to scroll down a list of questions in their heads, but always start with the same one. “Have you ever been to Machu Picchu?” they ask excitedly. It’s funny, but I understand people’s reaction. Having a world-class bucket-list item so close to home seems unfathomable to most. 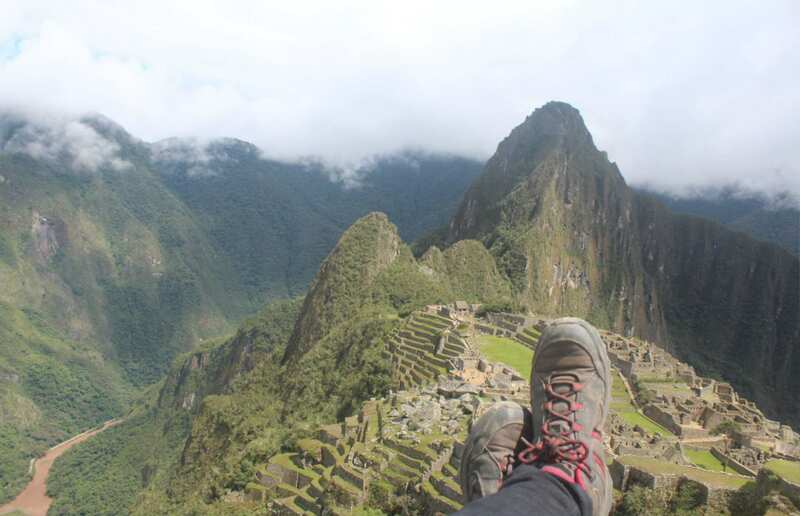 Machu Picchu, “The Lost City of the Incas,” is one of the New Seven Wonders of the World. It is one of the most captivating images of Peru, and getting to visit it, I admit – more than once! – is one of the many perks of growing up in such a magical place. Now, I may be a little biased, but I think Peru is one of the most fascinating countries in the world. 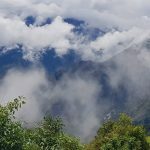 It surprises many to hear that Peru is actually an enormous and varied country – it is the 20th largest country by land mass on the planet, and always makes the top 10 for most bio-diverse. At more than 1,285,000 square-kilometres, the terrain is bigger than France, Germany and the United Kingdom – combined! In that vast area, besides the lasting landmarks of ancient civilizations, it is astonishingly said that Peru shelters 84 of the 117 life zones that exist on planet Earth! 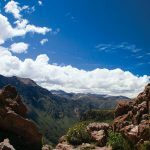 It boasts large swaths of the sky-high Andes, the longest mountain chain in the world (at about 7,000 kilometres long!) and the highest mountain range outside of Asia, some of the world’s highest desert sand dunes, tallest coastal waves, deepest canyons and most bio-diverse forest, the spectacular Amazon. 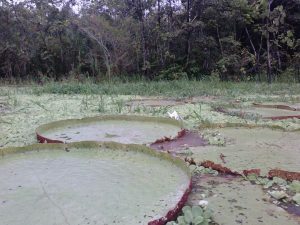 The country’s extreme nature is a breeding ground for some of the wildest flora and fauna you’ll ever see (pink dolphins, spectacled bears, giant water lilies, finger-sized monkeys, penguins, hairless dogs, anyone?). To boot, Peru has the largest number of bird species in the world, and third-largest species of mammals. The Incas excelled at dominating the region’s harsh landscapes. They were the first to tame the mighty potato, turning it from a wild toxic tuber to delicious root vegetable, cultivating distinct varieties and resulting in more than 3,000 types. Besides being expert agriculturists, they were good administrators (at least for a period of time). Since their empire sprawled across the Andes, they needed to relay information and did so by foot, using messengers called chasquis. Using an organized, extensive system, messages could travel up to 240 kilometres a day (as close to instant messaging as you could get in those days!). For more stories and adventures on Peru and guides to its fantastic food click here! So perhaps the Incas’ biggest engineering feat was not Machu Picchu, but rather the subject of this Jeff Fuchs Outpost expedition – the road network the Incas constructed which linked citadels, sacred sites, and agricultural, military and administrative zones via the UNESCO-protected Qhapaq Ñan, the Great Inca Road Network. The road and ruins are not only preserved in many places in Peru, but are still being used by farmers and pack animals alike, a testament to their enduring contribution to humanity and llama-kind. To put things into perspective, the engineering marvel of Machu Picchu is but a blip in the thousands of years of history of Peru’s people. It wasn’t just the remarkably-skilled Incas but also the pre-Inca (or pre-Columbian) civilizations as well as the complicated Spanish conquest that have all left their mark on Peru’s sizable terrain. Amigos, as it turns out, the result of colonization means the most common language in Peru today is Spanish. Fortunately, the country’s official language list also includes the widely-spoken and Inca-descendant Quechua and Titicaca-born Aymara languages. 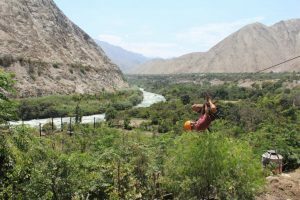 However, no words are needed to explore Peru’s exotic landscapes through adrenaline-pumping adventure travel: ziplining, climbing, trekking, paragliding, surfing, mountain biking, whitewater rafting – the opportunities are as endless as the varieties of potatoes! Speaking of potatoes, Peruvian cuisine happens to be some of the most unique in the world, with eclectic tastes you won’t find anywhere else. The use of local ingredients has evolved alongside the country’s many influences – not just European, but also African, Asian and indigenous inspirations, which have all meshed together to create Peru’s delicious fusion concoctions, resulting in global praise (and admittedly, personal dependence) in recent decades. The varied historical influences have shaped not only cuisine, but Peru’s traditions (many of which are preserved to this day), religion, agriculture, arts and culture. Finding a balance between maintaining millennia of tradition and the innovations that come with being a bustling South American destination has impacted Peru’s cultural identity. But somehow the country has found a sweet spot, where ancient history, rich culture, traditions and cuisine, intrepid adventure sports and mind-blowing natural scenery effortlessly coexist within three distinct national regions (the Coast, the Andes and the Amazon), and intricately dance on the world stage. And to top it off – this year, we’re going to the World Cup! Feeling oh so proud to get to call this country home. Vamos Peru! 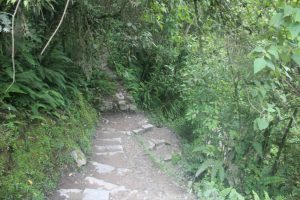 For more stories and adventures on Peru click here!